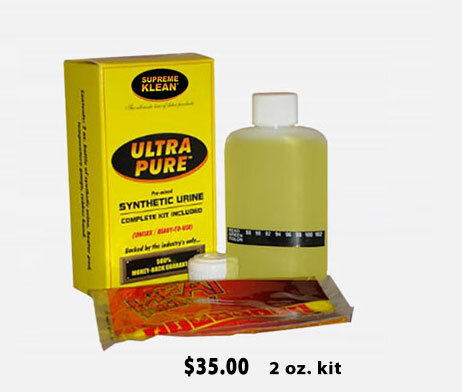 The Ultra Ultra Pure Synthetic Urine Kit is designed to help you pass a urine drug test with ease. 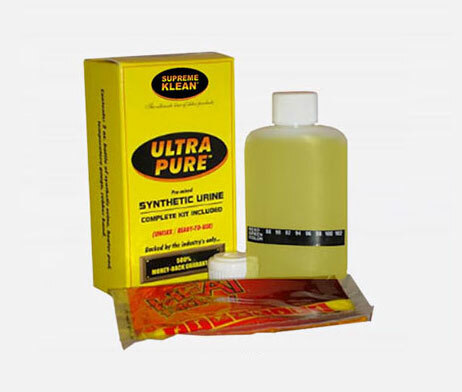 Laboratory-made urine is designed to mimic clean, toxin free urine and is suitable for both males and females during a urine drug test. 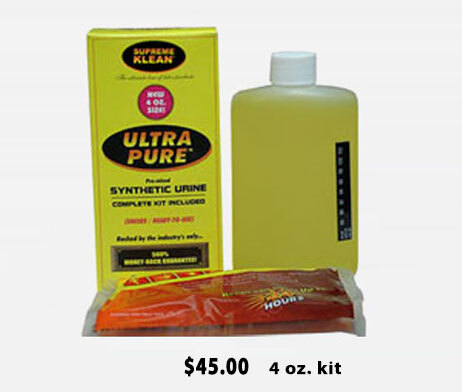 The premixed urine is formulated to contain all the components of normal, toxin-free urine, is pH balanced, has the optimum levels of creatinine, specific gravity and other ingredients and characteristics to ensure you pass your urine drug test. The kit comes with a temperature strip and heating pad to ensure body temperature is achieved. It is not intended for use with lawfully administered urine drug test and should be used in accordance with the law.